← #TerroirChampagne #thebook reached its target! Now what? Last Wednesday January 7th 2015, three heavily armed men gatecrashed the editorial meeting at Charlie Hebdo and killed 12 people; 9 of the victims were cartoonists and journalists. Charlie Hebdo is a weekly satirical magazine featuring critical non conformist cartoons and articles taking the mickey out of current affairs, religious zealots and politicians. The magazine has often been criticized for being too crude and disrespectful, but the editor and staff have always stood by the principle of free speech. The fact that they eventually paid for their believes with their lives send shock waves through France and way beyond it. The killers, Said and Chérif Kouachi, were French Jihadists claiming to avenge the prophet Mohammed – who had often been at the receiving end of Charlie Hebdo’s gags. 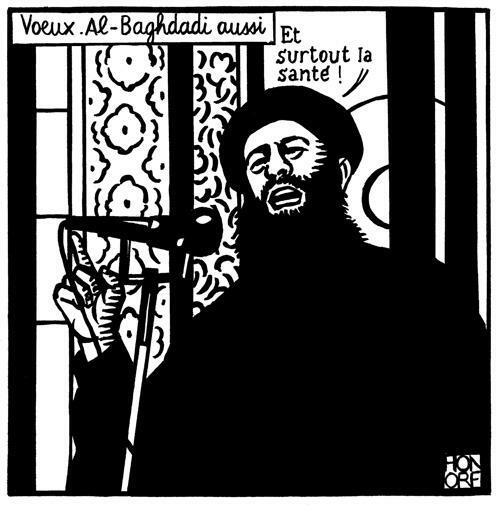 When leaving the building they shouted ‘Allahu akbar – we killed Charlie Hebdo; We avenged the Prophet’. The killers remained on the run for another 2 days before they were caught and shot in self defense by the French special services yesterday afternoon. So with this week’s event freedom of speech has suddenly become something very fragile. 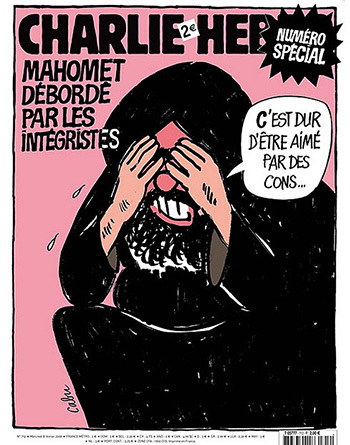 Even if the whole of the French Press closed ranks with the few surviving Charlie Hebdo writers and cartoonists to guarantee the magazine’s survival, most of them fell short from reprinting the ‘offensive’ cartoons, the one’s which were deemed worth killing for. Surely this would have been the best answer to the terrorist groups; by reprinting the images the message would be loud and clear:“you tried to shut them up, well you failed cause now these images are everywhere”. Besides anything else, for me this would have been the most adapt homage to the slayed cartoonists and journalists. However, since Wednesday lunchtime I have realized that even though the nation is in mourning, not everybody sees this attack as a direct attack on the freedom of speech. Most of the nation condemn the murders, and most French see the attack as their 9/11. “Je suis Charlie” has become a slogan on social media (#jesuischarlie) and in the streets during silent vigils. Politicians seem to have closed ranks across parties and thousands of people are expected to join the European politicians at the national march in Paris tomorrow. However, why are most people marching? Is it for the freedom of speech, which the team of Charlie Hebdo saw sacred, or is it against the attacks? Personally I think that a lot of people want to march to show the terrorists that France stands united and is not afraid. Whilst freedom of speech is indeed one of the pillars of the French nation, the interpretation of this freedom is more than a little hazy. The Charlie Hebdo team always knew this yet always stood by this right. I admire their belief and struggle and that is why I will join the march tomorrow. But I feel that at part of the nation is not so sure about this absolute right to express oneself, at least looking from the reactions on Twitter and Facebook. I am pretty surprised to have read and heard several people say that “of course we condemn the attack, but in a way Charlie Hebdo asked for it”. In my book no drawn or written provocation, however profound or shocking, justifies the killings. Besides, freedom of speech means that one is allowed to express one’s opinion in writing, drawing, painting or music. The reactions to the #jesuiskouachi campaign which was launched by other (French) Jihadists to praise the slayed gunmen as heroes is just as intolerant with people demanding Twitter and Facebook to shut down the accounts of people praising the killers. I would like to state here that I really do not appreciate the comments written by the Kaouchi fans, however, in my book, freedom of speech means that they also have a right to voice their opinion in writing or drawing. 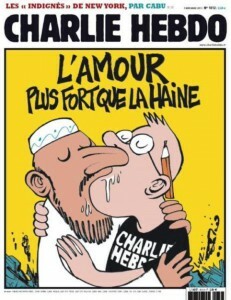 This is as far as I am concerned the same right Charlie Hebdo had. 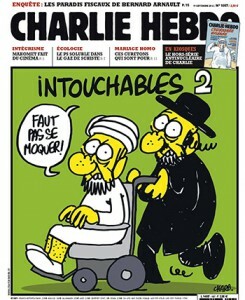 Trying to prevent them from communicating means that we are curbing their freedom of speech and doing this in the name of Charlie Hebdo feels very wrong to me. 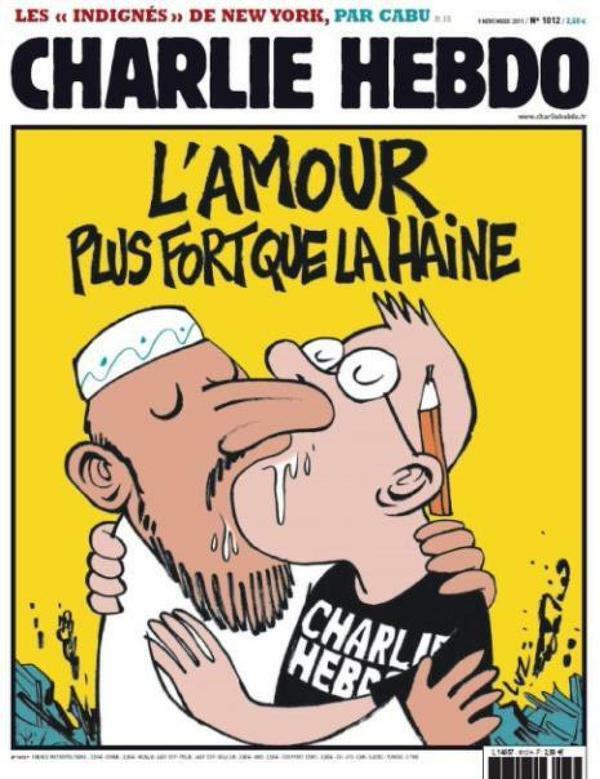 This entry was posted in social media and tagged #jesuischarlie, Charlie Hebdo, Freedom of speech, je suis Charli. Bookmark the permalink.